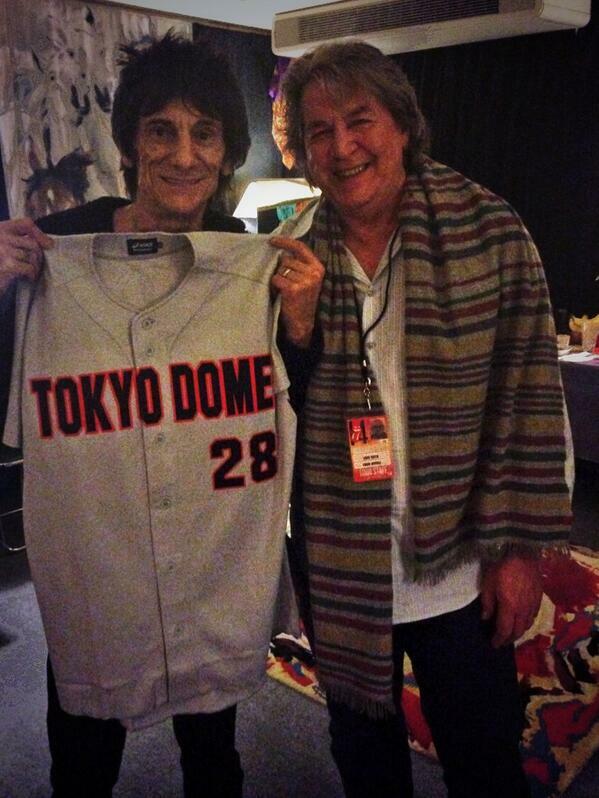 This thread is for live updates and comments regarding the Rolling Stones Tokyo show #3 on March 6, 2014. Please tell us your pre- and post-show thoughts and comments here. Please enjoy the show - live or through this thread! Looking fwd to seeing pics and reports ! See you at the show. Heading there soon. Just bought my ticket. I tried to get out, but they keep pulling me back in! Then did you buy at the stadium box office near gate25 ? Were there any good seats?? Any guess about this "special guest"? EC is gone and had a show at Singapore on March 4th. But I don't want any guest tonight. I just want to see pure Stones. 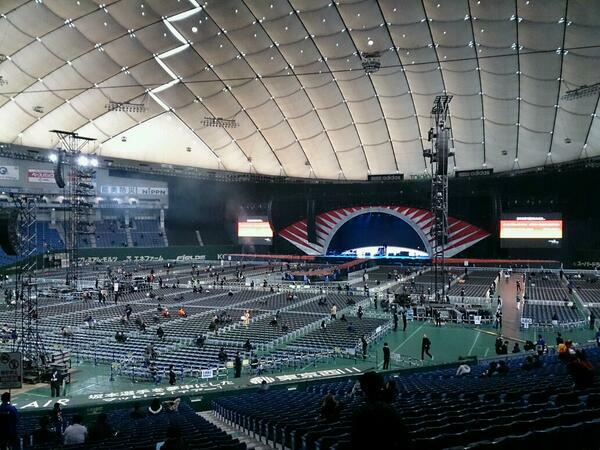 "To celebrate 28 shows over the years at Tokyo Dome thanks Tokyo"
No. I paid a premium. Clapton's gone. Alice in chains is heading in. Katy Perry was here, and down in Australia two days ago. It could be her on her way back. As long as it's not some Japanese rocker, I can probably put up with it. Maybe it's Babymetal? Edited 1 time(s). Last edit at 2014-03-06 16:48 by drbryant. Edited 3 time(s). Last edit at 2018-09-26 19:00 by Santipab. Have a good time Tokyo! Brian Jones replaces Mick Taylor! Tetsu would have been a great guest!